The Midnight Review: "My Job Is Not To Worry About Those People." "If elected, I promise not to help those people." Many are saying that with the release of a video from one of Mitt Romney's secret millionaire fundraisers, Romney had effectively lost the election. While Republicans have been claiming Democrats were using class warfare as a means to persuade voters to choose the president this November, this new developement in the election shows Mitt Romney candidly discussing whom he believes he won't have to represent if elected president. "There are 47 percent of the people who will vote for the president no matter what," Romney says in the video. "All right -- there are 47 percent who are with him, who are dependent on government, who believe that, that they are victims, who believe that government has the responsibility to care for them. Who believe that they are entitled to health care, to food, to housing." "[M]y job is not to worry about those people. I'll never convince them they should take personal responsibility and care for their lives," Romney also said. 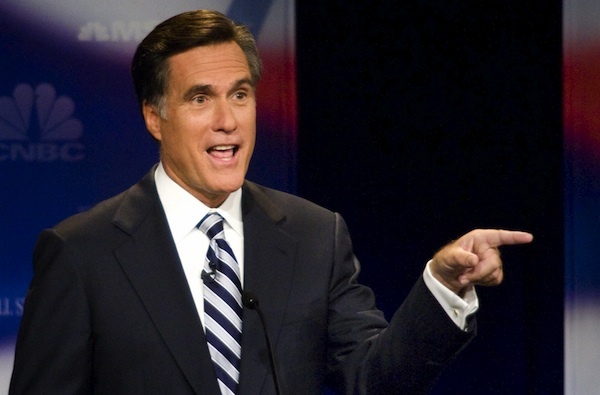 Romney insists almost half the nation are a bunch of entitlement-leaching losers who believe they deserve everything, and it seems Romney pulls this number from a meme started by conservative Erick Erickson, which stated that 53 percent of the nation essentially pays all the taxes in the world while the other 47 percent does nothing. There are a couple things wrong with Mitt Romney's assumption. First, while 47 percent of the population may not pay federal income tax, they may still pay Medicare, Medicaid, Social Security, gas levies, and state and local taxes,. Secondly, that 47 percent figure is not all Democrats. There are many poor Republicans who would fit into that figure as well, although it is probably safe to assume those poor Republicans who don't earn enough to pay federal taxes probably get their news from sources like Fox News so they would gladly vote against their economic interests and choose Mitt Romney. It is also interesting to note that in his list of entitlements, Romney listed "food" as something he believes should not be provided to those in need. Since Romney doesn't want to "worry" about "those" people, he would rather see them starve then to support real policy reform. Romney's comments are appalling because he reassures his millionaire donors that he doesn't care about almost half the population of America, essentially saying that if elected he would only be the candidate for the millionaires and billionaires. He would be the upper-class candidate. "Mitt Romney wants to help all Americans struggling in the Obama economy. As the governor has made clear all year, he is concerned about the growing number of people who are dependent on the federal government, including the record number of people who are on food stamps, nearly one in six Americans in poverty, and the 23 million Americans who are struggling to find work," Romney spokeswoman Gail Gitcho said in a statement. This is a little disingenuous considering in private Mitt Romney said he doesn't care about 47 percent of the population but publicly his camp says he wants to help those very same people. Mitt Romney even stood by his own comments stating that while he didn't "delicately" state his beliefs and that it was indicative of his campaign to "focus on the people in the middle." Do you believe Mitt Romney? I get the impression that Romney is going to do nothing about this video. He issued a statement but I don't think he gets why people would be upset over this. If Romney was smart, he would do something quick to change the narrative like finally release his tax returns, or at least what he promised, or give a detail or two about his super-vague plans. It's also a rather extreme stand, and one contravened by the Universal Declaration of Human Rights, to assert that people are not entitled to, say, "food." According to the United Nations treaty, to which the United States is a signatory, "Everyone has the right to a standard of living adequate for the health and well-being of himself and of his family, including food, clothing, housing and medical care and necessary social services, and the right to security in the event of unemployment, sickness, disability, widowhood, old age or other lack of livelihood in circumstances beyond his control."